This is a roundup of some of the cool projects I’ve gotten to work on. Some of these were created for work, others during hackdays and some in my spare time. 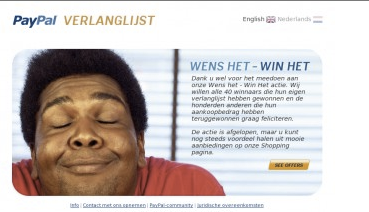 CharityBox is a browser extension that allows people to raise money for charities by shopping online. Links to online shops are automatically turned into affiliate links and if you buy something from that shop a percentage goes to charity. Beyond that though the extension also shows voucher codes giving people an extra incentive to install it. The PayPal Wishlist web app was a marketing project by PayPal UK and PayPal NL, where people could create and win their Christmas wish list. 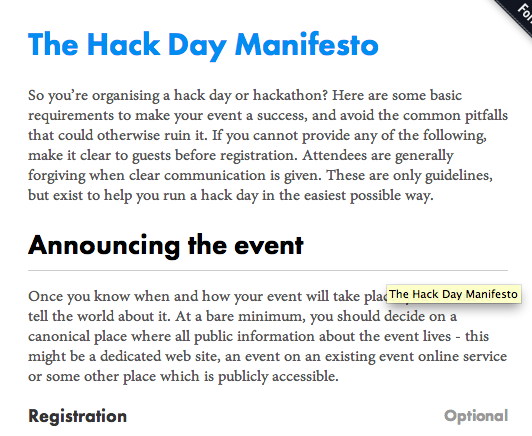 The HackDay Manifesto is a document created by the Geeks of London community to help HackDay organisers understand the essentials to run a successful HackDay. This was created during Culture Hack Day 2011 with data from the UK Film Council. 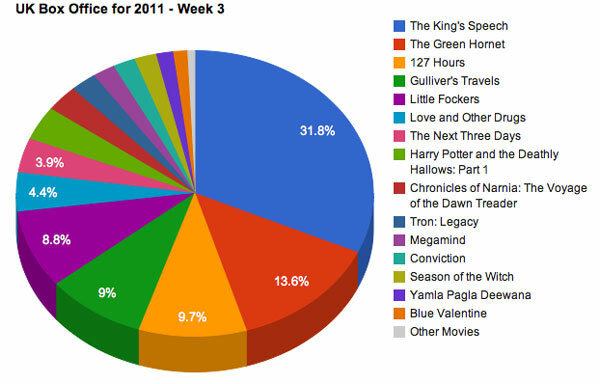 I created various interactive graphs to visualize the UK box office grosses for 2010 and the early months of 2011. Created during Over The Air 2011 and won Most Cultural Hack. 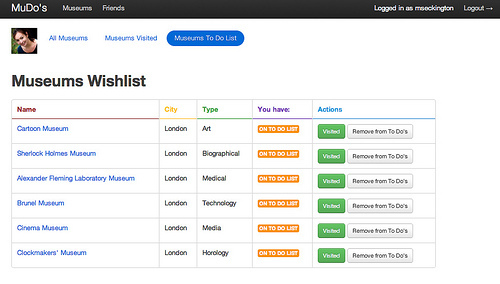 MuDo’s is a To-Do list for museums: you login with your Twitter account, select which museums you want on your to-do list, and then can share it with your friends.